Comic books & gifts for comic book fans, collectors (or nerds)! On Saturday, May 6th it will be Free Comic Book Day event for this year. It’s a day which many comic book stores will be participating in around the country. Customers can stop by their local shops and pick up some of the free books on hand. Selections will include titles that feature the Simpsons, Wonder Woman, Legend of Zelda, kids titles and many more. For those who might not be able to get a store, there are websites where customers may be able to grab any available free comics. There may be shipping and/or handling charges involved. As seen above, Things From Another World (TFAW) will be offering customers a special instead of free comics. 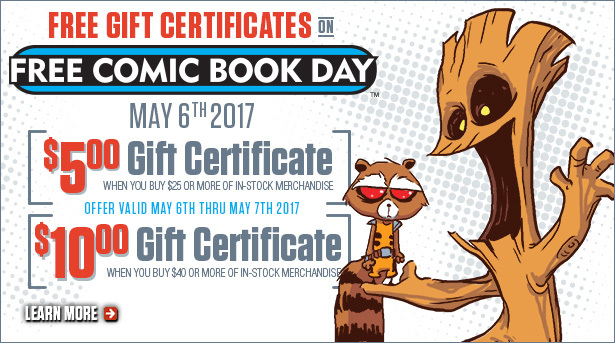 Not only do they have a wide selection of comics you can order, but if you order $25 or more from them, you’ll receive a $5 gift certificate. Orders of $40 or more will receive a $10 gift certificate. So it pays to pick up some of the comics that aren’t free in order to support comic publishers and sellers. See more details here. Free Comic Book Day will be going on all day Saturday at many shops. There is a full list of the free comics here. 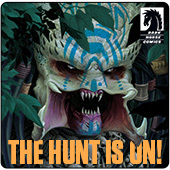 To find comic book shops in your area, check out the Comic Shop Locator where you can enter your zip code to pull up the nearest stores. Will you be supporting Free Comic Book Day? Feel free to comment below if you are hitting any shops, hosting an event, or participating online! 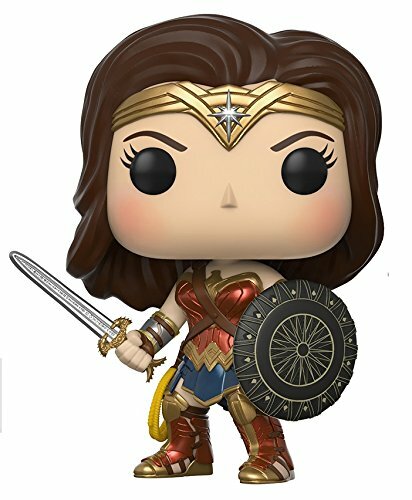 Comic Book Mania is a participant in the Amazon Services LLC Associates Program, Shareasale, and eBay Partner Networks. These are affiliate advertising programs designed to provide a means for sites to earn advertising fees by advertising and linking to Amazon, TFAW.com & eBay. Copyright © 2019 Comic Book Mania. All Rights Reserved. The Magazine Basic Theme by bavotasan.com.